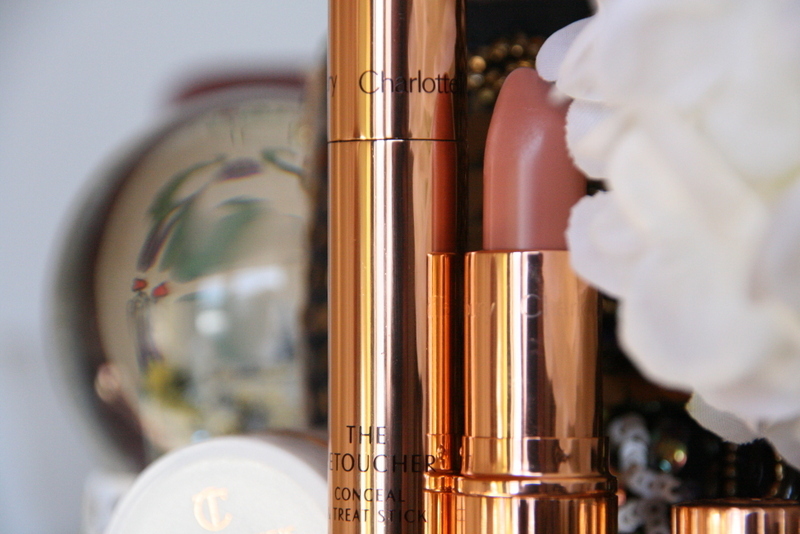 So who better to convince grown women about makeup than legendary makeup artist Charlotte Tilbury? She’s seen it and done it all…with the gift to get a haggered Kate Moss magazine cover ready or Penelope Cruz red carpet perfect she is at the cutting edge of makeup techniques and knows exactly what should be available to women in the market place. 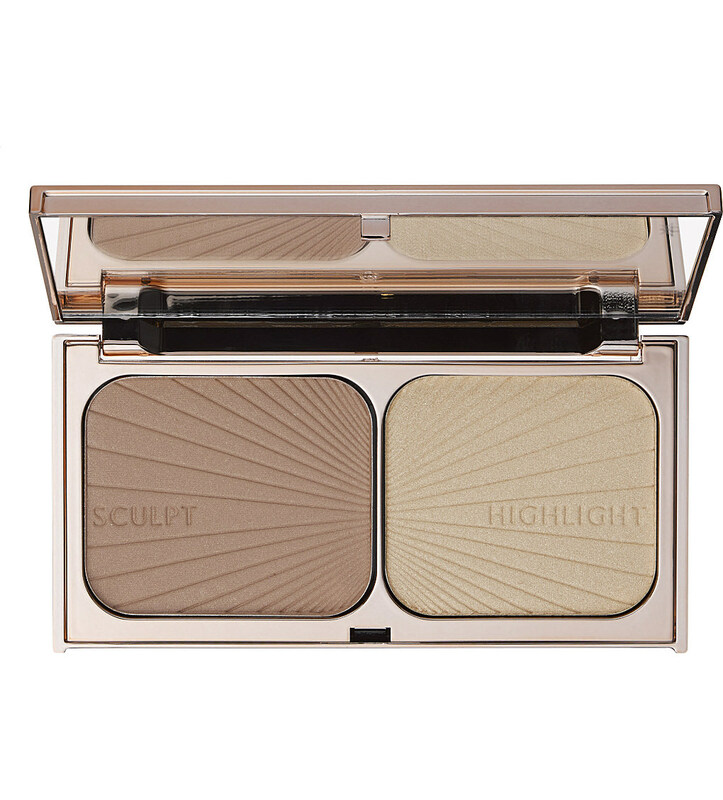 With the explosion of twenty something beauty bloggers on all corners of the internet baaahing over the products they like/have been gifted the fabulous Tilbury in her 40s comes with credibility, class and catwalk tested solutions. 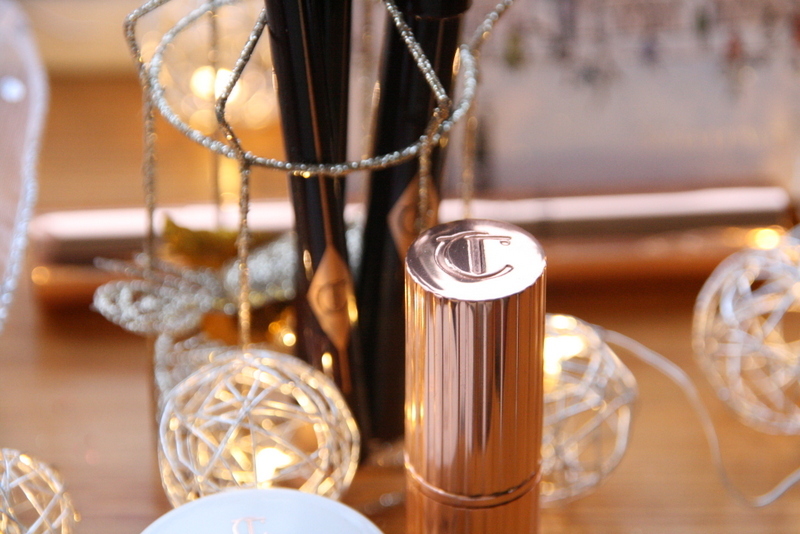 It’s hands down better than touché eclat in my opinion, it has a slightly peachier tone to it as well as being light but with enough coverage for those hideous under eye dark circles. When I first read about these I instantly thought, so she’s telling me brown eyed people should only wear these two colours? Ooo I’m not sure I like that, I pride myself on choosing the most flattering colours for me and as a neutral toned brown eyed girl I’ve rocked green, blue, pink and worse. 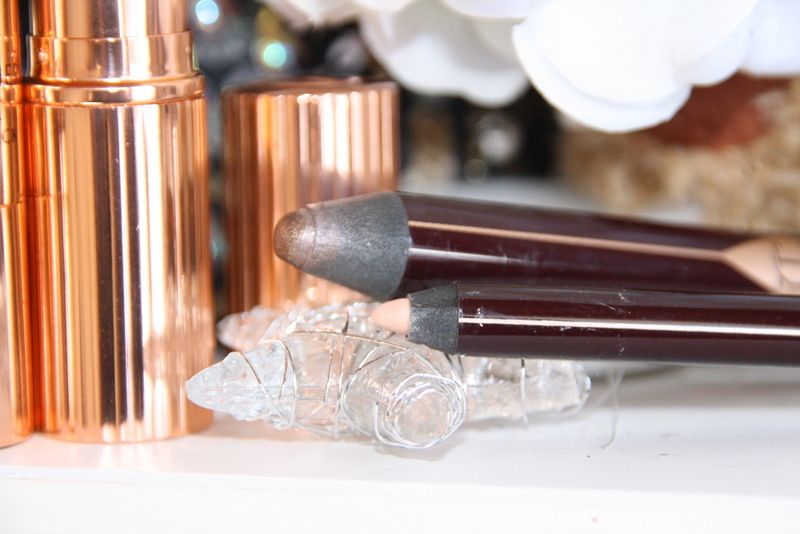 The chameleon eye pencils work because she has chosen two shades for each eye colour – one for day and one for night – so you oh don’t have to do the work. These absolutely budge proof colours go on the eyelids and flatter/change tone ever so slightly to flatter your eye colour. What is wonderful about them is they are bomb proof (I will be testing this theory on my wedding day) incredibly flattering, very portable and easy to use. The main trick with them is blending or applying with a brush as once they are on, they ain’t going anywhere! 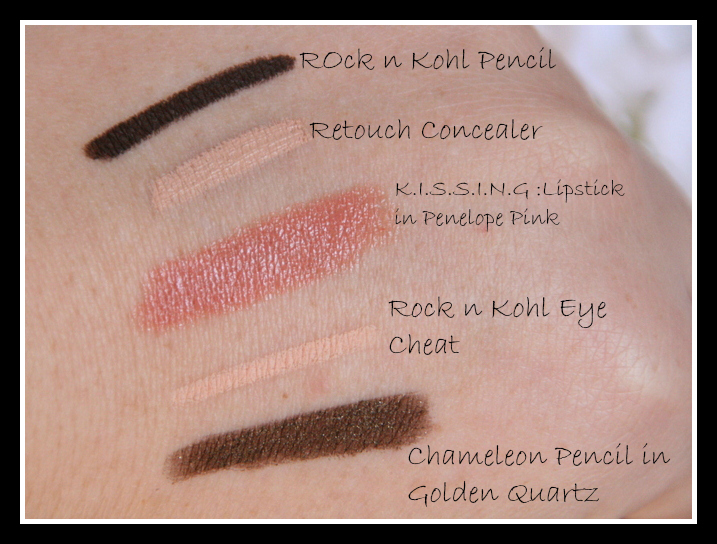 The rest of the Rock n Kohl colours are as expected from eyeliners – browns, black and purple. The brown I tried as a swatch is still on the back of my hand 12 hours later. It’s practically bomb proof. 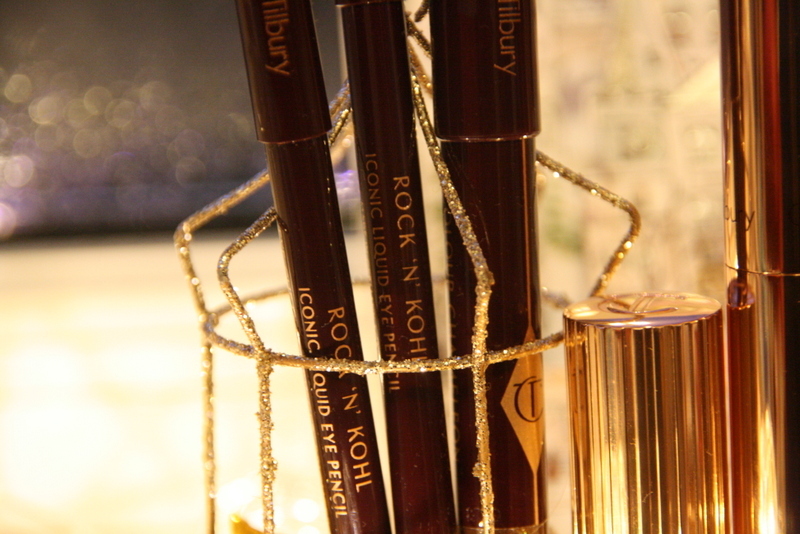 Her range excels in every area from packaging and ingredients to application and staying power. 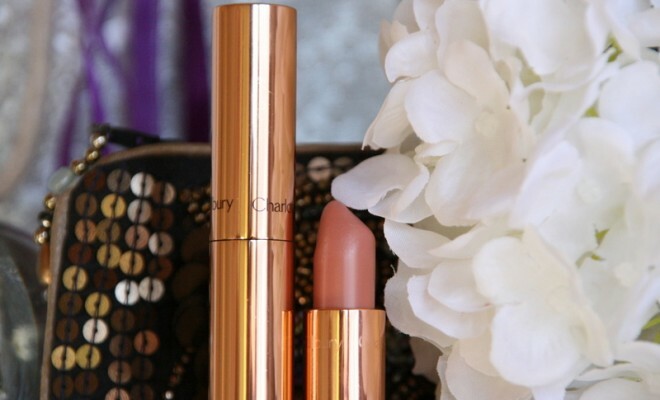 Could this be the holy grail beauty range….one you try you don’t buy anything else? You can buy the range at Selfridges or Net a Porter. 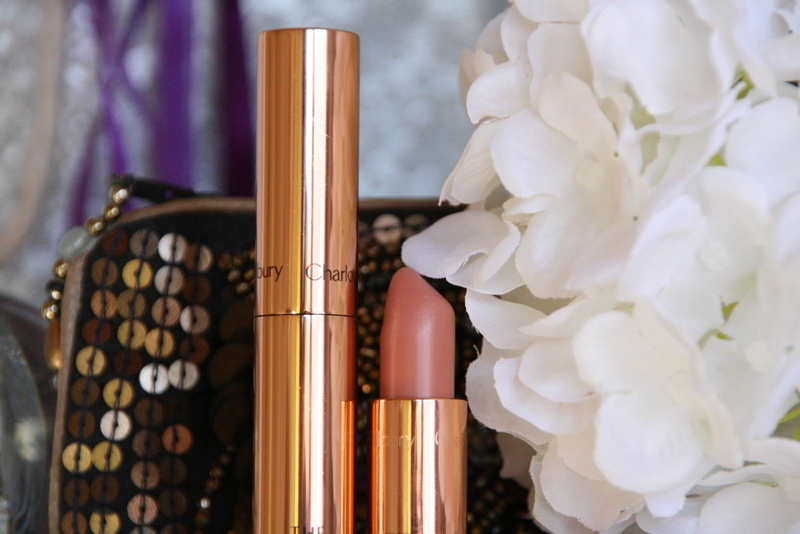 I received a few of these items for review directly from Charlotte Tilbury’s Beauty PR although the reviews are entirely my opinion. 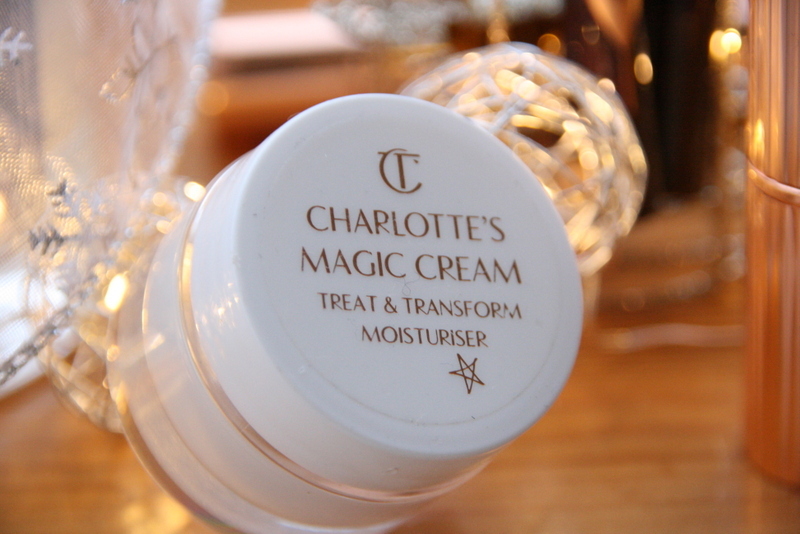 I’ve tried a fair amount of beauty products – this stuff is GOOD.